Breathtaking wacky beaches for a perfect getaway in India. 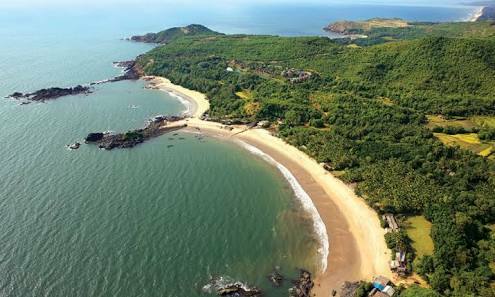 Kudle Beach is one among the awesome beaches of Gokarna. The Kudle beach is also the most eminent among the serene beaches in India, The best part of Kudle beach is, It is extremely gleaming and Here you’ll encounter very less crowd of tourists Therefore it’ll present you the absolute harmony and pleasure. Best time to for the vacation is from the month of December to February as this period is regarded as the zenith period for visiting the beach moreover it is visited by a huge crowd in this period so that finding low-priced accommodation would become difficult. You’ll come across with a vast number of places to stay in Gokarna among them choosing the best one is important. I would recommend staying in beachside resorts to get the complete delight of the beach, Beachside accommodation in Gokarna is usually expensive except at KudleOceanFront which is one of the finest beachside resort near to Kudle beach furthermore it is within your means. On reaching the wonderful beach you are going to grasp the holiness, The peaceful ambience and the mesmerizing panorama. With no wait, you would definitely want to explore the astonishing experiences such as practicing yoga in serene space, Reading books on side of beach, taking pleasure from the energizing waves, and constructing sand castles. You can reach to Kudle beach either by passing through Om beach road or If you are a biker or moving in an auto, You can also go through the narrow shortcut route which is from the city. ← Pick the best vacation spot, Goa or Gokarna.